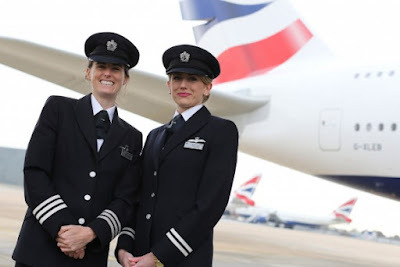 The British Airways Cadet Programme is open and gives you the opportunity to start your training to become a Pilot in the future with British Airways. Once you have successfully completed your training, you can look forward to continuing your journey with one of the world’s leading airlines and taking to the skies as a first officer on one of our London-based short haul fleets. If you can see yourself expertly navigating one of our aircraft across the globe, delivering world-leading levels of safety, security, and customer service, then this Cadet Programme may be for you. We are offering two routes Multi Pilots Licence (MPL) and a full Airline Transport Pilot Licence (ATPL), both of which will be fully self-funded, the entry criteria to both routes are detailed below. As one of our pilots you’ll see the world, and this means that wherever you go you’ll be an ambassador for British Airways. While we wear our uniforms with pride, it is how we act that really sets us apart. 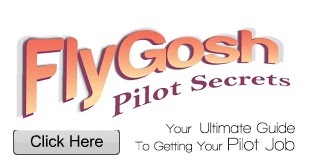 Talk to any of our pilots and their enthusiasm is evident – we’re looking for people who share this passion. You’ll not only need to be talented but also incredibly motivated and committed to excel during this demanding training programme. You must be able to keep a cool head under pressure and solve complex problems using verbal and mathematical reasoning. Height must be between 1.57m (5'2") and 1.90m (6'3").Height is accurately determined during the assessment process. Candidates who are taller than 1.90m may submit an application but may be required to undergo a functionality check. Height must be between 1.57m (5'2") and 1.90m (6'3"). Height is accurately determined during the assessment process. Candidates who are taller than 1.90m may submit an application but may be required to undergo a functionality check. The initial application process will consist or a situational judgement test and a numerical test. If you pass these elements to the required standard you will then be invited to submit a full application for review. If you application is successful at this stage, you will be invited to attend a two day selection event at L3 Airline Academy Resourcing and Selection Centre which will include aptitude testing, numerical and verbal reasoning, group exercise and a competency based interview. There is a selection fee payable at time of booking for the L3 Stage 1 assessment event which is £295.00 (Inc. VAT) and is payable via PayPal. The selection fee is a contribution towards the overall cost of L3 CTS’ running selection. There is no further charge for selection but you are responsible for any travel and accommodation costs incurred. Upon successful completion and shortlisting through the L3 CTS selection process, you will be invited to a final stage assessment conducted by the British Airways Selection Team at British Airways Head Office, Waterside near London Heathrow.